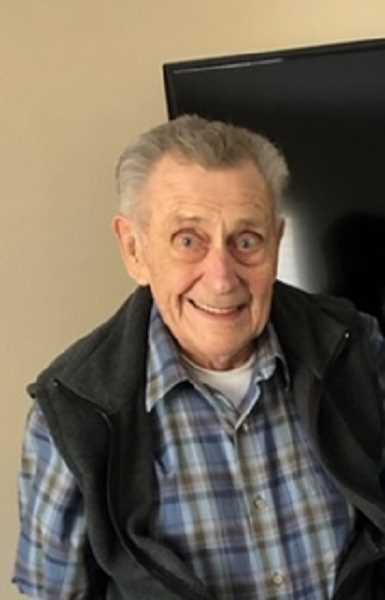 Pamplin Media Group - Clarence Oliver James Jr.
September 10, 1926 - October 27, 2018 Clarence O. James Jr. AKA 'Buster', passed away peacefully on Saturday, October 27, 2018 in Milwaukie, Oregon. Clarence O. James Jr. AKA "Buster", passed away peacefully on Saturday, October 27, 2018 in Milwaukie, Oregon. Clarence was a life-long Oregon resident, born in Sellwood, Oregon and raised in Oregon City by parents, Clarence O. James Sr. and Minnie Fisher. 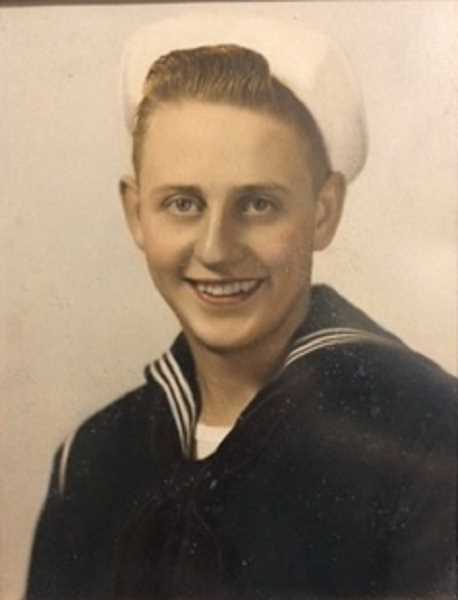 Mr. James joined the US Navy in 1945. He served until 1951 in the Korean War and was a radarman on aircraft carriers in the South Pacific. He served on the USS Adopt, USS Samuel D Sturgis and USS Antietam. Clarence married Mary Joanne James in 1950. They had six children. Joanne preceded him in death in 2013, after over 63 years together. Their daughter Colleen also preceded him in death in 1952. In the '50s and early '60s, Clarence worked as a movie projectionist for several local theaters including the Liberty, The Star, and Sellwood. He was a foreman at Franz Bakery for 27 years. After retiring, he went to work part time for the Clackamas County Maintenance Dept assigned mostly to the Clackamas County Court house where he was so proud to decorate the building with lights each Christmas. In 1995, Clarence and Joanne retired to Rockaway Beach where they quickly made friends working together at Trash and Treasures. They loved their time there fishing, antiquing and daily walks on the beach with their dog Jesse. Clarence enjoyed hunting, fishing and working on cars. He had stories for each hunting trip and even more about his adventures in driving. More recently, while living at Deerfield Village in Milwaukie, Clarence became hooked on Bingo. He was excited to need a bigger jar for his winnings! He is survived by his daughter, Carolyn (Kurt) Shafer LaPine OR., daughter, Crystal James, Milwaukie, son, Jonathan (Debi) Estacada, son Corey (Melonie) Tenn., son Paul (Kathy) Washougal, as well as 16 grandchildren, 16 great-grandchildren and 6 great-great-grandchildren. Interment will be at Willamette National Cemetary after a private service. In lieu of flowers, contributions can be made to the Milwaukie Center Nutrition Program or The Wounded Warrior Project.